Nine presenter Cameron Williams is departing Nine after ten years with the network. Over the decade he has been with Today and Nine News, in various roles mostly encompassing Sport. From 2009 he has been co-presenter on Weekend Today. He has also filled in as host on both A Current Affair and Nine’s 6pm Sydney bulletin. Nine’s Director of News and Current Affairs Darren Wick said, “Cameron has been one of the most professional journalists I’ve had the privilege of working with. He has made an outstanding contribution to all programs at Nine News and Current Affairs. He will be missed not just for his ability as a television presenter, but for his quality as a person. We sincerely wish him all the best for the future”. Late last month Nine announced Williams would be joined by guest co-presenters on Weekend Today throughout the year. Last week Nine’s Head of Sport Steve Crawley announced he would be leaving Nine to join FOX Sports. And even now he still thinks that the 1992 Cricket World Cup semi-final between England and South Africa finished in a farce. That’s why he was on Fox Sports for many years – he was too opinionated. Hope Ten goes after him & offers him a lookalike ACA. Having worked with him on one occasion I found him to be a true gentleman and very humble. There needs to be more “on air personalities” like him. Im sure Sport is his love. Hope he is going to Foxtel and staying away from FTA. He is so boring. Stopped watching Weekend Today years ago he is so boring. Sad to see him depart Channel 9. 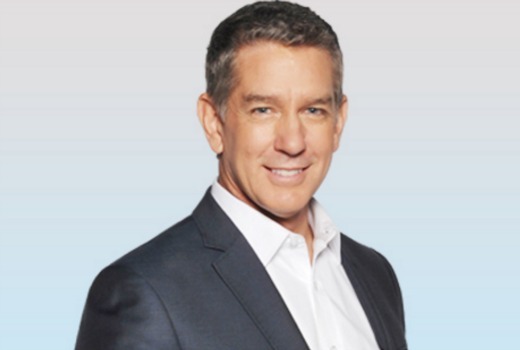 He has been a good asset towards NRL coverage, Today Show and NYE Celebrations back in the past 10 years.